Eastablished as a cash and carry in 1992, Superdeal Wholesale Ltd. has grown into one of the biggest distributors of products to Discount stores, Market Traders and Newsagents. Superdeal carry a vast range of products making it easy for our customers to source from one place. Since 1992 Superdeal has built a reputation for its competetive prices and excelent customer service from small independent retailers to the multiple store retailers. 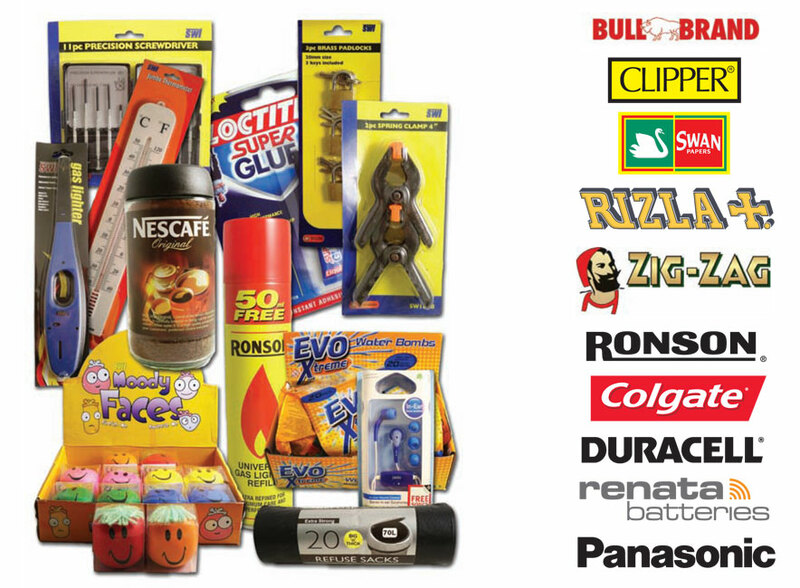 Superdeal is a distributor of the following brands: Panasonic, Duracell, Sonny, Vinnic, Renata, Zig Zag, Rizla, Bull Brand, Swan, Ronson, Clipper, Prof Lighters, Lloytron. This helps us to keep our stock levels up ensuring that our customers recieve regular supply of key items.